There's nothing like having friends in your life where you can just be yourself around. A good friendship can last a lifetime. I've been fortunate enough to have the same group of girl friends for over 25 years. Although we are all married with kids and live in different parts of the world, I love that if I need any one of them, they would be there in a heartbeat to help me in any way. So I'm very excited to share that tomorrow Thursday, July 30th is International Friendship Day. This is a day to celebrate friendship. What better way to celebrate it other then with the group of ponies we love so much that embrace friendship all the time. 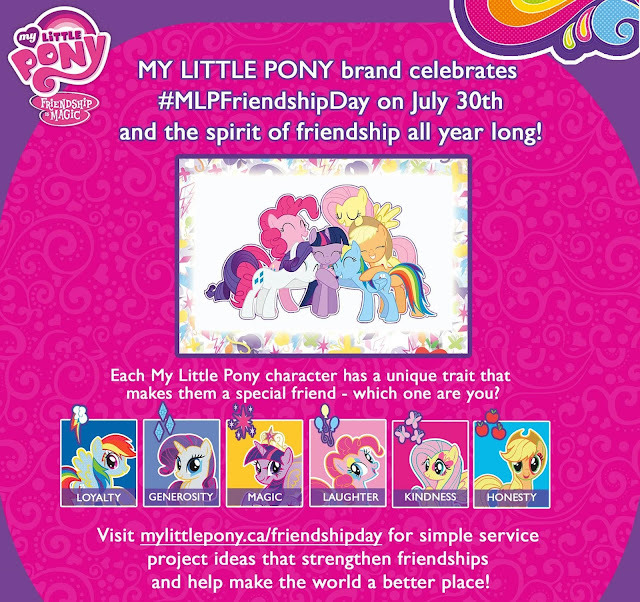 Celebrate Friendship Day with My Little Pony by heading to their Friendship Day page to start playing fun games and activities with your child all while learning how you both can help make the world a better place. Everyday is Friendship Day when you are with the ponies! 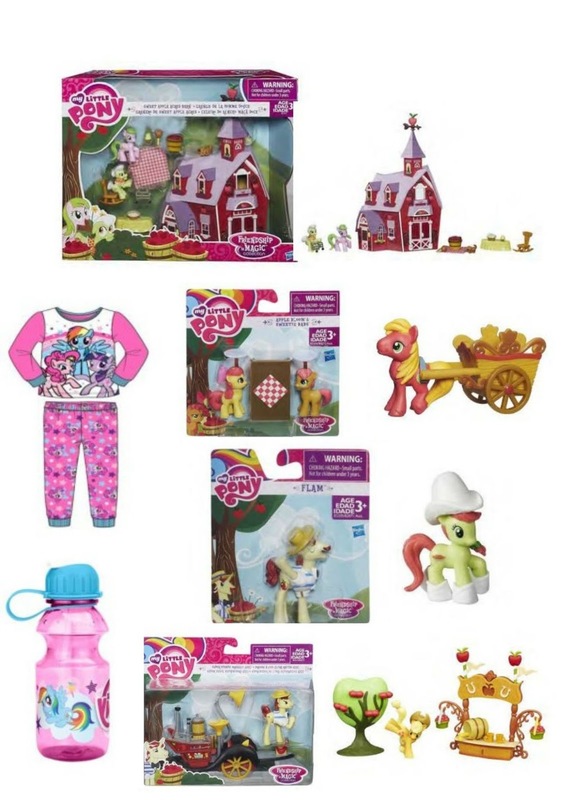 In celebration of both International Friendship Day and the new The Friendship Is Magic product line we're excited to work with Hasbro to offer one of our Canadian readers an amazing Friendship Is Magic Prize Pack valued at $100. How do you celebrate Friendship day?